Oppression | Hayat Alvi, Ph.D. This is an important election year for a number of countries in the Middle East and North Africa (MENA). 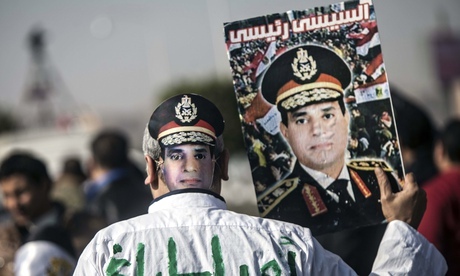 Egypt will hold elections on May 26-27, with the military dictator General Abdel Fatah al-Sisi likely to run. He has already gripped Egypt in an iron fist, while the courts do his dirty work sentencing hundreds to death without due process. In Turkey, Prime Minister Recep Tayyip Erdogan is expected to run for president in August, while journalists are arrested and the government promotes increasingly authoritarian policies that include tight controls over the judiciary. Rubbing salt into the wounds of millions of Syrian refugees and internally displaced persons (IDPs) and families of more than 150,000 dead in the Syrian civil war, the vicious dictator Bashar al-Assad plans to run for re-election in June. 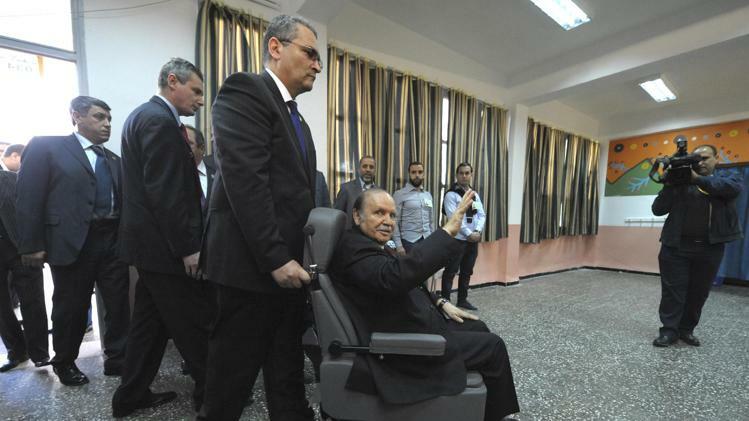 In late April, Algeria has exhibited one of the most embarrassing and shameful sights when President Abdelaziz Bouteflika, already in power for fifteen years, ran for a fourth term following a stroke and was sworn in while sitting in a wheelchair. This comes after the 2011 Arab Awakening revolutions in Tunisia, Egypt, and Libya, but Algeria has successfully suppressed similar uprisings and protests within its borders. 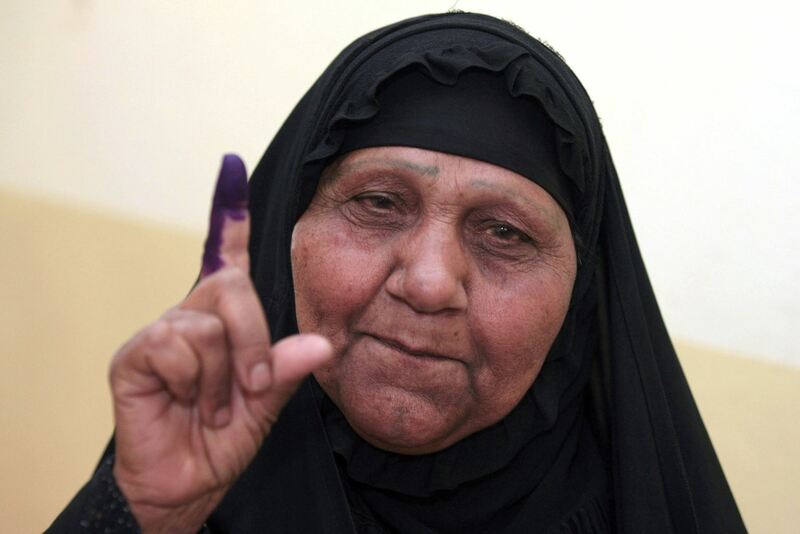 However, the results are a gross blemish, analogous to the worst warts and boils on the ragged old face of Arab status quo, which convey only the Arab leaders’ obsessions with self-empowerment, stagnation, oppression, and authoritarianism. The delusion of these autocrats is boundless. The only light in this dark tunnel is Tunisia, which has succeeded in nonviolently removing the Islamist Ennahda Party from power and preparing for new elections this year, while having revised the constitution once again. Democratization processes are not easy. They require not only smooth transitions in political leadership, but also substantive reforms of institutions and structures, with a lot of patience and determination. Clearly, Egypt and Libya, within their own respective contexts, have been impatient with the democratization processes. Leaders can be corrupt failures anywhere in the world, even in established democracies. But, the true test of democracy is the citizenry’s commitment to the values and principles of democracy. We have not seen this in the MENA region. In fact, egotistical self-promoting autocrats like General Sisi and Bouteflika and Bashar al-Assad eagerly want democracies to fail and collapse and be snuffed in the dust under the soles of their shoes. They also have powerful people supporting them, and in most cases that includes the military. They have been the circles of democracy assassins who rally around brutal dictators. With all that Mohamed Bouazizi, the April 6th Movement, and hundreds, if not thousands, of others have sacrificed to change the face and stench of autocratic stagnation and status quo in the region, it is a tremendous tragedy that their revolutions, symbolism, and efforts have been undermined by the most diabolical people. The latter only possess self-interests, and are not concerned with the public’s welfare. The greatest irony is that so many of these self-interested autocrats and their supporters are using the tool of democracy, elections, to empower themselves. The counter-revolutions have been a slap in the face of the victims who died or were injured while trying to bring democracy, freedoms, and rights to their countries. When strokes and wheelchairs don’t deter a dictator, what can be said, but “what a shame.” But remember that it’s the circle of stakeholders around the dictator that is just as selfish, greedy, and ruthless. The proponents of real democracy in the MENA region face formidable challenges ahead. Their greatest test will be their commitment to democracy. The dictators and autocrats have shown their deep commitments to their brutality and authoritarianism. Stagnation and status quo will be the region’s future in politics, economics, and many other aspects of life if the “counters to the counter-revolutions” are not successful. And, those who are blindly supporting the likes of Sisi, Assad, Bouteflika, and a host of other oppressive and tyrannical dictators are dooming the entire region to a dark and wretched fate. Dictators deserve to be tossed into the dustbin of history, and the citizenry must commit to “never again!” Instead, we see countless people prepared to vote for new and old dictators. Has nothing been learned from the past several decades of tyranny? The views expressed are personal.